The Monday Challenge also has the same theme this week so you will be able to have 2 chances of winning a $50 Gift Voucher if you enter both challenges! Heidi and team sent us designers some of the beautiful products released by Simon Says Stamp to play with. The Henna Patterns stamp set is absolutely amazing. It is a building stamp set of course and so every time you stamp to build a design, it will be unique. That is very cool! Here is my take on the Stamp It challenge. I have used Strathmore watercolour paper as my base panel. I die cut the paper using Stitched rectangle die from MFT. Then I stamped the images from Henna Patterns stamp set diagonally opposite of the watercolour panel building into a design. 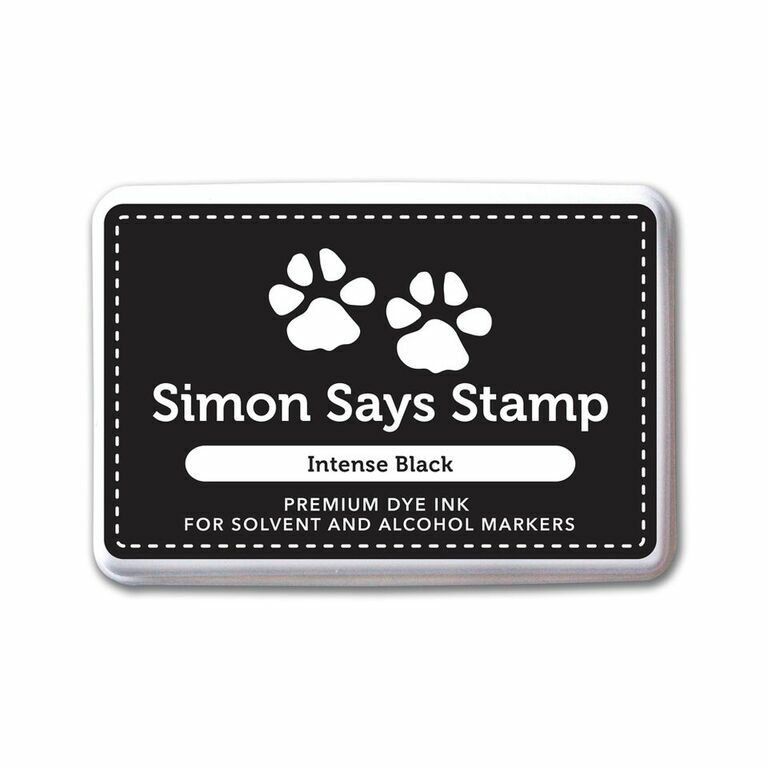 I used Simon Says Stamp Intense Black Ink to stamp as this ink is waterproof as well. Then I used my Zig clean brush pens in red, orange and pink shades to give watercolour wash on the stamped area. I started with the lighter shade of pink and orange one colour at a time to give a watercolour wash initially. I let it dry and then added darker shades of the red, orange and pink to build layers and textures on colour. I like bright colours so I added three to four layers of colour to get the intensity of colour I wanted. I let the panel air dry while I worked on the sentiment. I wanted gold on my card but not a lot of it. So I die cut the word grateful using the Grateful die from Simon Says Stamp and gold glitter paper. This die set also have the outline die as well. To make the glitter gold pop out, I die cut the outline of the sentiment in black. I glued the gold glitter grateful over the black outline grateful and adhered on the panel. The black from the sentiment brought out the black stamped images. I also added some black sequins from Pretty Pink Posh to tie it all together. The entire panel is adhered to black card base. Hope you like my card. The images on Henna Patterns stamp set are outline images. So you can do many techniques with them. Build you own design like zentangles and colour them with copics or pencils. Heat embossing your own design on cardstock and do emboss resist. Heat emboss your own design on watercolour paper and watercolour the images. Such a versatile stamp set. Love it! As always I have listed all the products I have used on this card below. 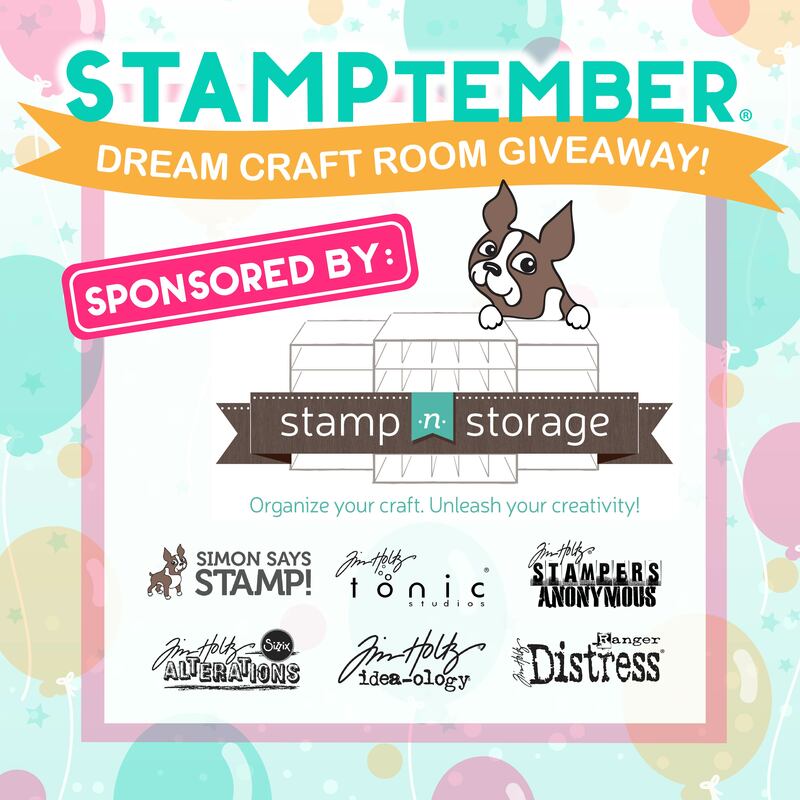 How would you like a chance to win a fabulous Dream Craft Room Makeover AND loads of products!!?? CLICK HERE for more details of how to enter and watch a presentation to see what YOU could win! SWOON!! That's how much I love this card! Totally gorgeous, Gayatri! Beautiful card. I not only like the card design, but the colors used are awesome!